F.W. 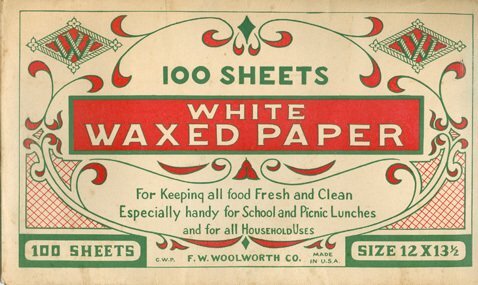 Woolworth stores pioneered cheap paper products and writing implements around the world. Exercise books were among the first items stocked in the USA, along with cheap pencils and napkins. Before long the retailer was knocking out millions of cheap books and developing own label lines to rival North America's big brands. In Britain, as well as keeping school children well stocked with pads and writing implements, the stores found plenty of time for fun. Their selection included lighthearted picture histories, project books for a thousand and one different pastimes, and a few treats to make going back to school a bit less painful. The stores can also claim to have helped lay the foundations of one of the world's largest and best respected publishers. Today Penguin Books are read the world over, boasting a huge catalogue of titles, and continuing to offer a level of authority and value that others struggle to match. But when Alan Lane was struggling to get the idea of sixpenny paperbacks off the ground, it was Woolworth's that placed a huge order to set the ball rolling. This page gives an overview of the chain that was far more than a paper tiger, as it drove down prices and got the world reading and writing. Frank Woolworth's first ever store, which opened in Utica, New York, USA in February 1879, carried a selection of stationery. Exercise books were the best seller. Thirty years later, when the entrepreneur targeted the British Isles, the range again featured strongly. It became a mainstay of the offer throughout the 118 years in America's Main Streets and the century at the heart of the British High Street. Exercise Books were well suited to mass manufacture. 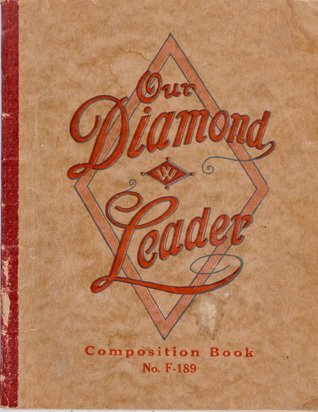 Vast quantities of thin paper were ruled, cut and folded, before being stapled into thicker covers emblazoned with the Diamond W trademark. An efficient supply chain ensured that, despite the rock-bottom 5¢ price on the counter, each generated a profit of 1.28¢. The Great 5¢ Store also sold Pencil Charms, and exotic-looking Turkey Red Napkins. 130 years later there were modern equivalents of all three items in the British High Street's chains WorthIt! range. Three scribbling pads were 25p (around 8p or 9¢ each), twenty bright red pencils with rubbers on the end and the Woolworths in bright gold lettering (around 5p or 6¢ each) and twenty WorthIt! red napkins for 49p (about 2½p or 3¢ each). In the intervening years general prices had risen by a multiple of forty-two times, yet the commodity items had gone up by no more than five-fold. Initially Frank Woolworth only sold practical things. He believed that thrifty shoppers spent nearly all of their money on essentials. He concentrated on kitchenware, cleaning products and basic stationery, like pads and greaseproof paper. Later he discovered that his clientele saved up for special occasions, when they liked to celebrate in style. So he sought ways to bring luxuries into everyone's price range, going on to sell millions of decorative items for nickels and dimes. 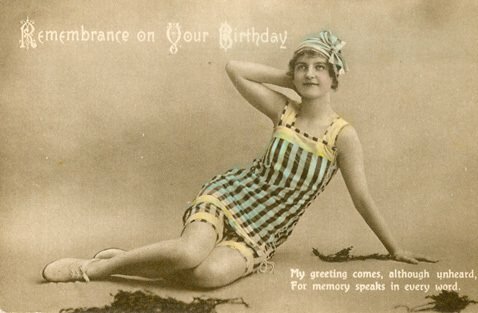 By 1890, as well as the basics, the 5 & 10¢ sold brightly coloured greeting cards, sepia tone and pseudo-colour postcards and fancy 'velour' writing paper and envelopes. Within five years they had also built a strong market for miniature novels, which Frank bought in job lots, and sold for 5¢ each. He later negotiated with Charles and Albert Bonni to stock books from their Little Leather Library series. In 1917 sales exceeeded a million copies. The store developed a range of cards using the latest European printing techniques. Black and white photographs of local views were coloured by hand in London or Berlin and printed in full colour. The 5¢ cards, which were officially published by Woolworth or members of his Syndicate, became best sellers. Building on the idea they used glamour views and whimsical colour drawings to make Birthday and Christmas Cards, and even calendars which could be mass-produced cheaply. Each week more than a million were sold. The concept featured strongly in the first British stores. They produced a remarkable series of patriotic cards during the Great War, along with views of major landmarks like the Houses of Parliament, Tower of London and the Crystal Palace. At the peak of its success, the British operation overtook the sales of the market leader, W.H. Smith, on key ranges like Back to School. But through the century some of the uniqueness was wasted. For example a market-leading share of Birthday and Christmas Cards was gradually eroded as the focus moved from low prices to high style. 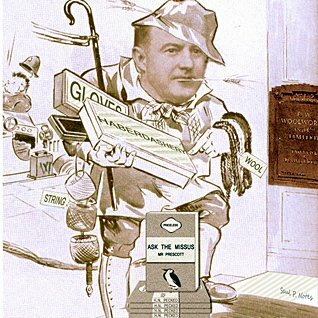 Similarly, after establishing the UK paperback book market as the first stockists of Alan Lane's sixpenny Penguin Books in the 1930s, and winning plaudits for the morale-boosting Mighty Midget miniature kids books during the Battle of Britain, interest waned in the 1950s as Executives focused their attention elsewhere. Two exclusive British lines became million sellers. The stores' illustrated histories became must-haves for children between 1920 and 1970. Their cartoon format gave them kid appeal, drawing them into the serious academic content. Similarly a series of Project Books became a smash in the 1970s. It grew to over a hundred titles, each featuring a different thing to do. Today they act as a reminder of how simple childhood was in the days before apps, computers and mobiles. The product selection was overhauled in the 1980s and again after the millennium. 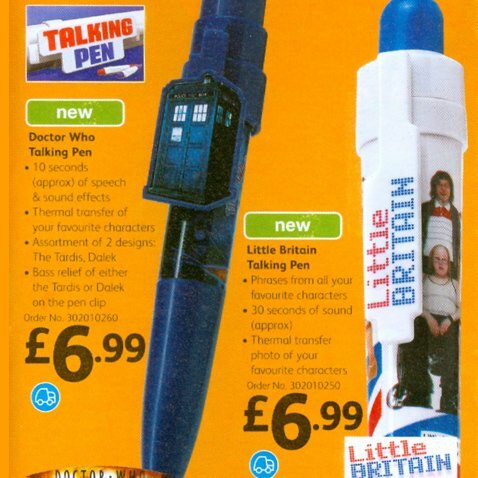 The Buyers capitalized on their long-established strength in character branded toys, and more recent leading share of video sales, by building co-ordinated ranges of notebooks, pencils, files and folders featuring the same hot names. Riding the digital revolution, in the 21st century new lines served people working from home, with printers, paper, shredders and PCs to establish a bedroom office. Perhaps as an antidote to the growing use of technology, arts and crafts enjoyed a resurgence after the millennium, boosting sales of branded lines like Craylola. Woolworths was able to establish two own label ranges of similar quality at much lower prices. Its Chad Valley Create and Colourplay lines quickly became lucrative best-sellers. Relentless pressure from the top forced the Buyers to increase prices on staple lines, which began to hit sales. The move up-market was reversed by a popular new budget range called 'WorthIt!' which quickly began to win shoppers back from the discounters in 2006. Sadly it came too late to stop the rot. Today a trip to Germany, Mexico or the Caribbean is required to buy well made, great value stationery from Woolworths.